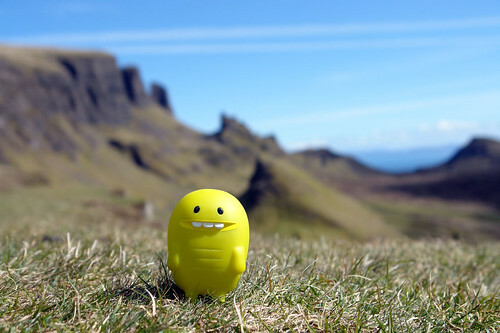 Uglyworld #525 - Turtle at The Quiraing, originally uploaded by www.bazpics.com. One of the most picturesque locations on the Isle of Skye, and in Turtle's own words "It's just so awesome that it should always be written AWESOME in capital letters, that's how awesome it is". So there you have it - AWESOME!